Yuraygir, or Yuri for short, was found at approximately six weeks old in Yuraygir National Park by hikers. Thinking to take him home as a pet, they bundled him into the boot of their car. Fortunately for this sick little colt they sought advice from the local hoof trimmer, Megan Matters. It was immediately obvious the foal needed intensive care by horse people, and so he was taken on by Megan and her husband Malcolm. Yuri was in very poor health, covered in ticks and dehydrated. His coat was matted and dirty. A bucket of milk sorted out the last problem and several medicinal baths the rest. Days passed, with feeding every few hours and massaging his limbs. Yet still he couldn’t stand. Malcolm, ever the inventive one, engineered a sling and suspended Yuri. Once up, the little colt managed to hold his own weight and walk. Hoisting him was required many more times before he had the strength to rise on his own, but every day saw him stronger. The inquisitive fellow soon introduced himself to the herd from his yard. He became everyone’s baby, ignoring electric tape to steal their feed and play in the water trough. 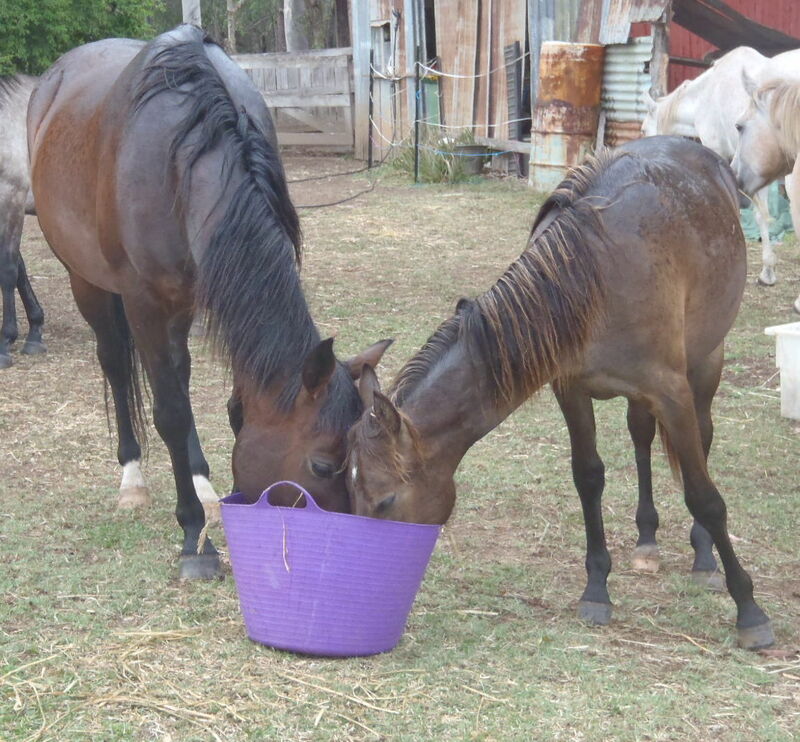 The older horses put up with anything he did, the boss mare even sharing her dinner, an unheard of event! 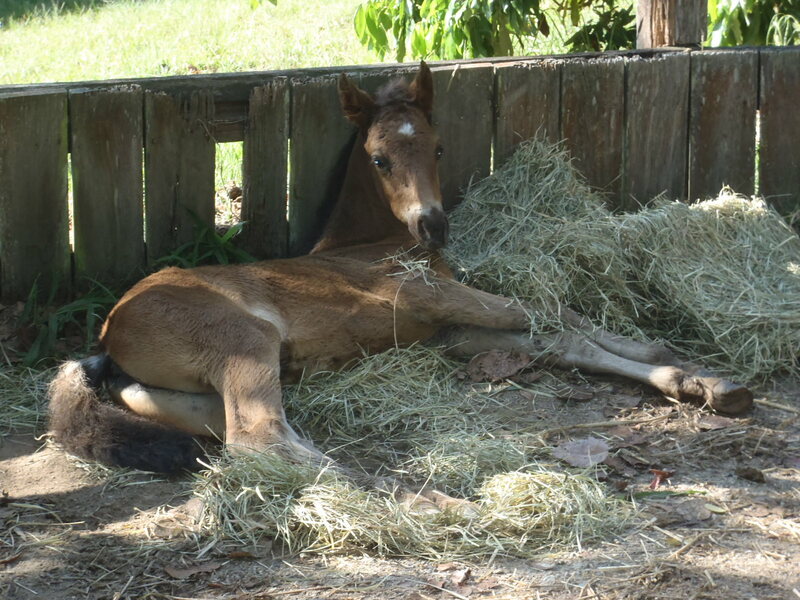 He shed his foal fluff to reveal a gorgeous mahogany coat. 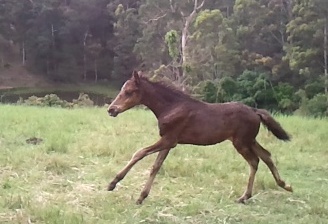 First time out in the paddock! 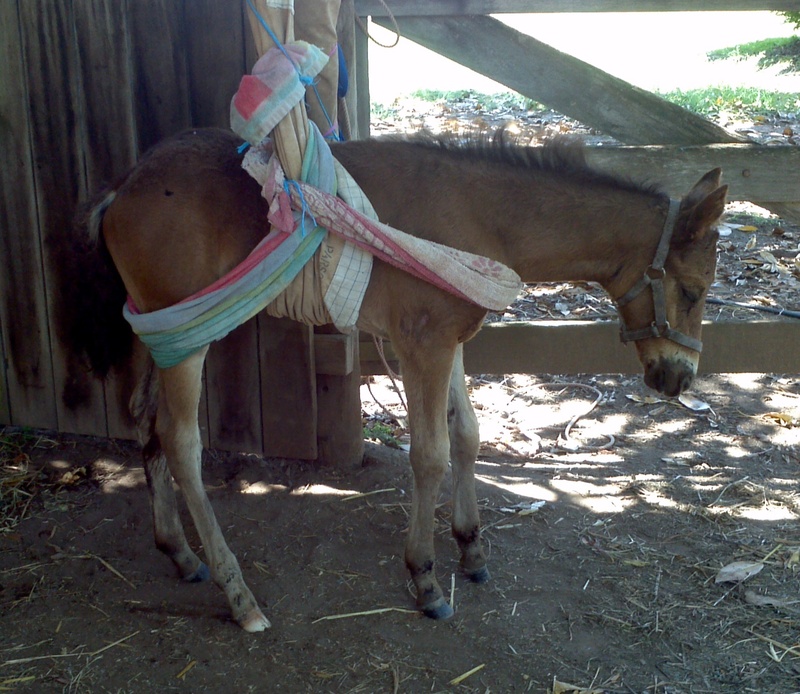 The constant care and regular handling meant that this little brumby had no fear of humans. Or dogs. Or hoses. Or anything! Bold and fearless, Yuri went from strength to strength. With such a hard start in life he was never destined to grow tall, but what he lacks in height he makes up for in character. Yuri has become a permanent fixture in Megan and Malcolm’s life. They plan to take him back to Yuraygir, either ridden or as a pack horse, when they ride the Centennial Trail. This is one horse that won’t want to leave his comfortable home to return to the wild. Yuri’s true story provided the inspiration for the orphan filly, Eve, in the final of the brumbies novels, Brumbies in the Mountains. 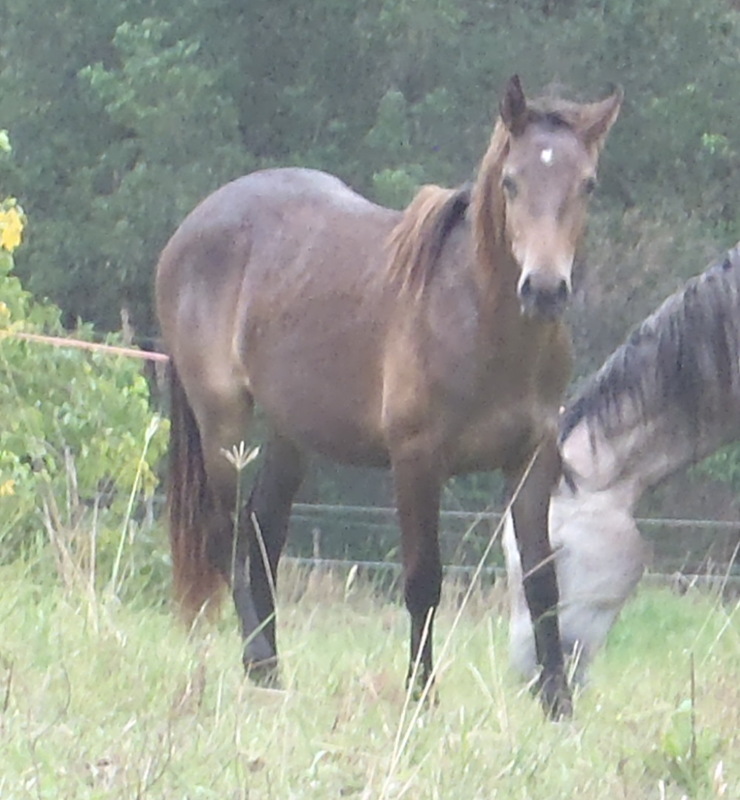 Tags: brumbies, Brumbies in the Mountains, orphan colt, Yuraygir. Bookmark the permalink.